The INTO GAA Mini Sevens have been a feature of Big Match Day in Croke Park on All- Ireland semi-final and final days since 1987. 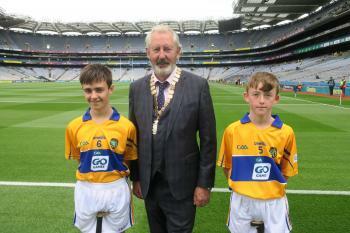 Boys and girls from all counties of Ireland and beyond get the opportunity to play in Croke Park on the occasion of the biggest games in the GAA calendar. Tipperary native Gerry O Meara, Principal of Scoil Treasa in Firhouse, Co. Dublin is National Co ordinator of the Mini Sevens, the name by which these games are known although they are now played in ten- a- side format! 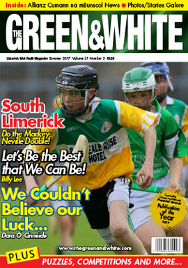 Gerry will be busy during April and May sifting through the information supplied to him by Cumann na mBunscol units throughout the country. Counties are allocated quotas of players in boys’ and girls’ football, hurling and camogie. These quotas rotate on a cyclical basis to ensure equal opportunities for children from all counties. Dublin and Cork receive larger quotas than other counties. Gerry’s job is to collate all the information he receives and allocate slots on the six days when the Mini Sevens are played, i.e. the days of the All-Ireland hurling and football semi-finals and finals. Last year saw the introduction of a new timescale for the conclusion of the All-Ireland Championships and finals in football and hurling will be decided much earlier than heretofore. In order to ensure that schools of all sizes can compete in the Mini Sevens, different age limits apply, depending on the number of children on roll in Third, Fourth, Fifth and Sixth classes. It is important that teachers are aware of these age limits.